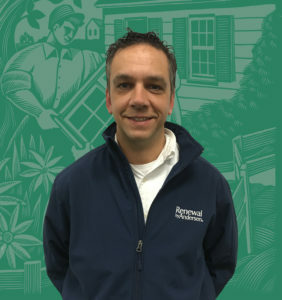 Our next Renewal by Andersen of Northeast Pennsylvania is Kevin Rossi. Kevin, what is your role here at Renewal by Andersen of Northeast PA? Design Consultant. 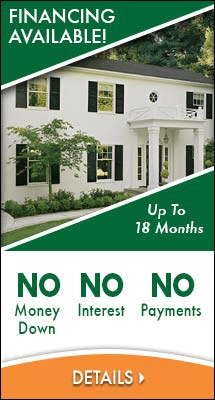 I measure and quote window and door projects in Northeast Pennsylvania. How long have you worked for RbA? Almost three years. What do you like most about your job? Working for a highly respected industry leader and with people who are dedicated to protecting its reputation. What is your interaction with RbA customers like? Most people are very appreciative of what we do and the time we spend together reflects this. What makes you most proud about working at RbA? That no matter what happens, we will always be there if needed. What has surprised you most about your work? How different the Lehigh Valley Customers are than the territory I’ve been working in for many years. What’s your favorite thing to do/favorite place to visit in Northeast PA? My favorite place to be is on any well-kept golf course with friends…and there are dozens of them in Pennsylvania. What makes you laugh? My dog. Favorite pizza topping? I do like pineapple on pizza. I’ve never been to Hawaii, but I will someday if I can be sedated for the flight.